The preemptive effect of the trade secrets can be relatively narrow or very broad depending on which state's law applies. As explained in prior posts, preemption is the concept that a state's trade secrets act displaces conflicting state law tort claims based on misappropriation. There are a number of preemption-related questions that courts must resolve. One of the more significant ones involves whether the trade secrets preemption clause displaces state law tort claims for misappropriation of confidential information not rising to the level of a trade secret. The dominant view among states is that it does. Preemption would displace any tort claim based not only on trade secret misappropriation (such as conversion or unjust enrichment), but also any similar claim to the extent it is predicated on misuse of confidential, proprietary or other commercially valuable information. Last week, an Ohio federal district court reaffirmed this principle under the Ohio Uniform Trade Secrets Act. Several Ohio cases previously addressed this issue, and it is a state squarely within the majority class adhering to a broad view of preemption. There are two general policy rationales supporting this view. First, a narrow view of preemption would enable a party simply to default to other tort claims to avoid having to prove the statutory elements of trade secret misappropriation. If a party can sue for misappropriation of confidential information, why would it ever undertake the burden of pleading and proving the elements of a trade secret case? This would undermine the statute's goal of uniformity among jurisdictions to protect commercially sensitive information. Second, allowing a party to bring tort claims for misappropriation of confidential information would discourage it from employing the secrecy measures of information that the trade secrets laws require. A party simply could bypass enacting secrecy measures and sue in tort for misusing confidential information that is not widely disseminated or publicly available, but still known by others in the industry. This would lead to less certainty, discourage fair competition, and impede the development of commercial ideas. States adopting a minority view, which would allow for tort claims based on misappropriation of confidential information, include: Wisconsin, Virginia, Missouri, and South Carolina. 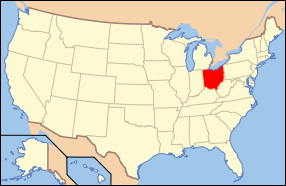 States which adhere to the majority view include: New Hampshire, Ohio, Hawaii, Kentucky, Michigan, and California.